The morels is one of the most delicious and costliest wild edible mushrooms of the world. During the last century significant advances have been made in the study of morel biology with the sole aim of artificial cultivation. But all efforts to domesticate them have not been wholly fruitful. 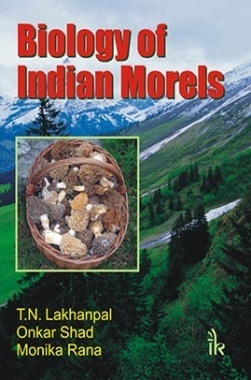 The book is an attempt to compile all the relevant information on morel biology so that more interest in morel research is stimulated ultimately paving the way for cultivation. This book useful for Teachers, Scientist, Scholars and Students. 1.Gives a brief outline of the chapter in the beginning, and a detailed discussion at the end of the chapter. 2.Profusely illustrated with line diagrams and photographs. 3.Includes useful Annexures elaborating on methodologies adopted for field and laboratory analysis of Morels.